On the eastern border of the EU, only a few hundred miles from Berlin as well as Vienna, there is a growing danger that the world will stumble into a global war. The leading cause is primarily stemming from through the incompetence of the politicians in the EU as well as in the East. The EU is more concerned about punishing Britain and trying to hold on to overpaid political jobs that to address the real issues facing Europe, while these seemingly regional disputes in the East are being ignored. The problem with NATO has been that most members have not paid into the support of NATO that they had agreed to. The USA has been shouldering the majority of the cost of NATO, which would be like the EU funding US military. Then NATO leaders agreed back in 2016 to deploy military forces to the Baltic states and Eastern Poland for the first time and increase air and sea patrols to reassure new allies who use to be part of the Soviet bloc that they would defend them following Russia’s seizure of Crimea from Ukraine. This has merely increased the confrontations with Russia on the one hand but the Eastern countries themselves are not really aligned. The chaos inside the EU and the overreaching of NATO are the major factors inviting war. This also raises a most serious question: Exactly where does the power of NATO end and Russian power end? Effectively, where precisely is the border of influence? This question cannot truly be answered in the midst of this chaos. Following the collapse of the Soviet Union, the agreement emerged whereby Belarus, Ukraine and Georgia were to form the buffer for Russia. NATO’s influence on the borders between Poland, the Czech Republic and Slovakia, Hungary, Romania and Bulgaria were to come to an end. Russia directly borders Estonia and Latvia, while Lithuania shares a common border with Belarus. Thereby, a meeting between the West and Russia developed in the 1990s with agreements between the EU and Moscow along with several treaties including the USA. 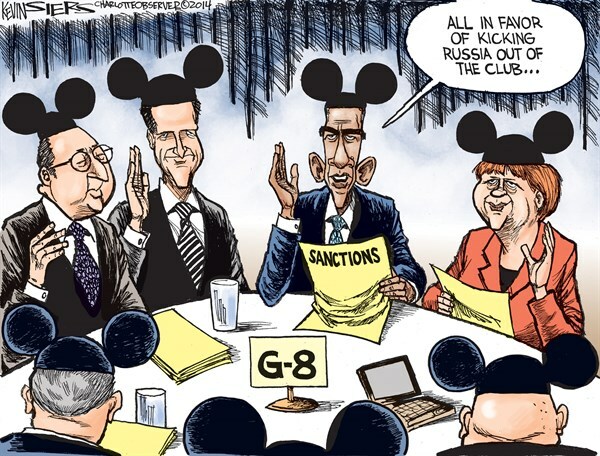 Russia was to then enter the G7 making it now the G8. It was Obama who did his best to undo all of this. The annexation of the Crimean peninsula by Russia in 2014 is seen as a trigger of the crisis and Russia is described as an aggressor. But Crimea was always Russian territory and it was given to Ukraine to manage back in 1954. What if Spain wanted Puerto Rico back? It is not part of the United States. The predominant language in Crimea was Russian – not Ukrainian. Ukraine should have been split along the line of language and instead of funding military forces, offered the people to buy their property on either side who desired to move to the West or East. Instead, we have a cold war simply over territory and the people have no say. Politicians still act as if they are playing the board game RISK, but for real. This has always been about territory as if we are still living the dreams of Napoleon, Hitler, Genghis Khan, or Alexander the Great. There are people who live in these regions who are oblivious to the games politicians play. All wars are begun by politicians, ministers, or kings. 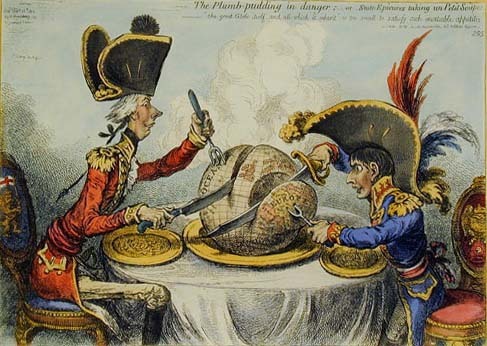 Politicians have been carving up the world for a very long time. People mean nothing. They carved up the Ottoman Empire and created the chaos of the Middle East. This is what Trump has been against – nation building. The so called “progressives” who protest against Trump would have been in the front lines of war under Hillary, who was simply keeping the game going. How many lives has it cost when politicians are so concerned over territory rather than the people living in such territories? From 2004 onwards, NATO has sought to expand its sphere of influence beyond the bounds of peace and go right at the throat of Russia inviting World War III so they get to play with their toys. These activities were first conducted in Georgia. The President at that time was Mikhail Saakashvili from 2004 to 2013. He promoted an active pro-Western policy and was welcomed as a friend and partner of the West. At first, it was supposed to be about democracy, something the EU itself rejected in its new structure with all the power-players being UNELECTED officials, and economic cooperation with the EU and the USA. It did not take long to create the impression in Georgia that NATO would also help the country in an engagement with Russia. Then in the summer of 2008, the conflict escalated. Russia invaded Georgia and occupied the provinces of Abkhazia and Ossetia. These were dominated by Russians originally. Most people have no idea but Joseph Stalin was from Georgia. NATO did not come to the aid of Georgia. There were no sanctions imposed for occupying Georgia as there were for the occupation of the Crimea. Why? What was the difference when Georgia was actually being solicited by the West and Crimea was not? Was it simply that Crimea was an important military base for Russia all along? It appears that the world politicians sitting at the table playing the game RISK were really just trying to end Russia’s port in the Black Sea and isolate it. That is certainly something the USA would have done in a second if the roles were reversed. The sanctions imposed against Russia were not to really protect Ukraine, but because the West was trying to take away Russia’s access to the Black Sea. Economic cooperation with the West was accepted by Moscow under Reagan. The cold war had ended. Ronald Reagan worked hard to bring down the Berlin Wall. Why did Obama work so hard to reestablish the cold war? NATO has clearly raised hopes in Eastern Europe as they did in Georgia. Indeed, the Ukrainian crisis is in many ways a continuation of the events in Georgia. Since the “Orange Revolution” in 2004, Ukraine was seen as a knife to poke in the ribs of Russia. The pretend President Viktor Yanukovych was pro-Russia because he came from the East and spoke Russian. He could not even speak proper Ukrainian. But he and his sons sought to rule Ukraine like a Russian oligarch. Businesses had to pay protection money to even survive. 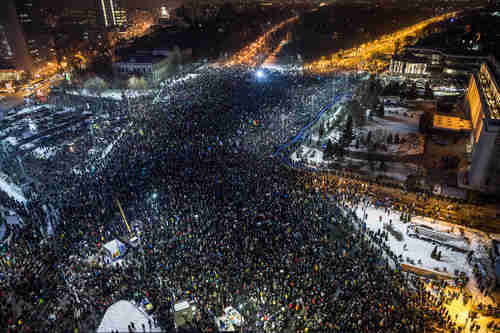 The Ukrainian Revolution was real. The West’s politicians moved in to try to seize control of the new government, but the uprising was against corruption as we now see in Romania. In November 2013, Yanukovych put a “freeze” on negotiations with the EU. As a result, the people began to rise up. The police were ruthless exploiting the people and were not there to protect the people but the State. Revolution began and since June 2014, Ukraine has sought a pro-Western course reaching treaties with the EU and with NATO. Indeed, once again, NATO gave the impression to Ukraine that it would implicitly defend it but Ukraine has not formally become a member of NATO. Ukrainian eastern region of the country remains a strategic concern. The IMF (International Monetary Fund) was willing to provide loans to Ukraine but demanding they engage Russia in the East. This demonstrated that the IMF was playing military politics – not economic. The fact that in the Eastern Ukraine is composed of Russian-speaking people, gives Moscow justification to protect its ethic citizens. 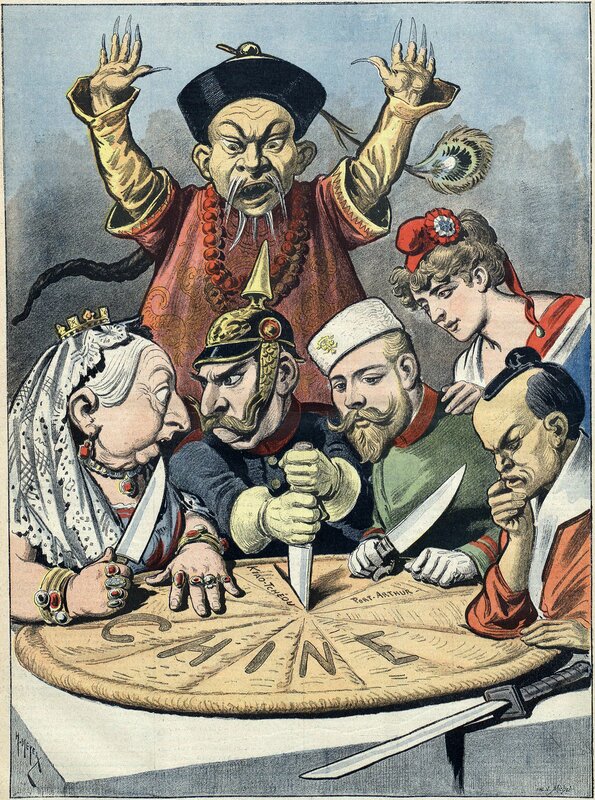 This is why Ukraine should have simple been divided along the ethic lines and stop trying to poke Russia for the sake of military ambitions as was the case with Vietnam against China. Moreover, Belarus is now also breaking up, where border controls are apparently being carried out by Russia. We are witnessing the fragmentation of countries and governments all due to failing economic systems. 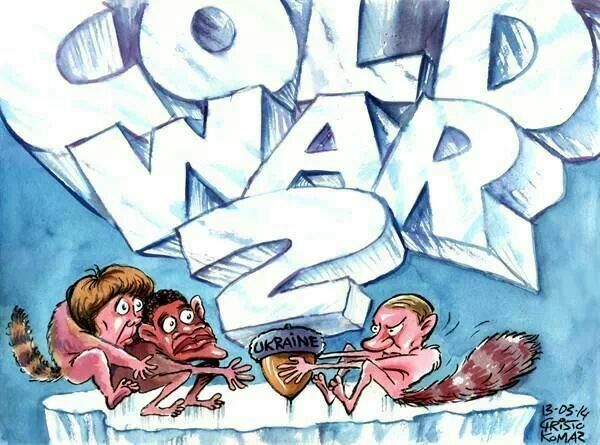 We are looking at the Baltic countries opposing Russia. Estonia, Latvia and Lithuania are all full members of the EU and NATO. So where exactly does NATO end and Russian influence begins? This is becoming a very dangerous and grey area. The new US Secretary of State Rex Tillerson expressed it best: “Russia is dangerous, but predictable”. Tillerson does know Russia well and far better than any politician filling that role before. Tillerson could actually establish a dialogue with Russia to secure world peace. The machinations of Obama have merely ended dialogue and reestablished the cold war that took more than 30 years to thaw. Democrats are too preoccupied with trying to stop Trump and fueling protests to distract the press and the American people from the real risk of war the Obama administration has created.